This is the fifteenth volume in the Oratory of Classical Greece. 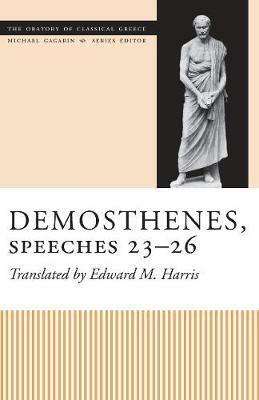 This series presents all of the surviving speeches from the late fifth and fourth centuries BC in new translations prepared by classical scholars who are at the forefront of the discipline. These translations are especially designed for the needs and interests of today's undergraduates, Greekless scholars in other disciplines, and the general public.